When my daughter lived in Turkey, I spent some time traveling the country with her. I fell in love with the story of Ataturk, Turkey’s first president just after World War One, who transformed Turkish society. Ataturk is beloved by Turks; photos of him grace many Turkish businesses, conference rooms and homes. 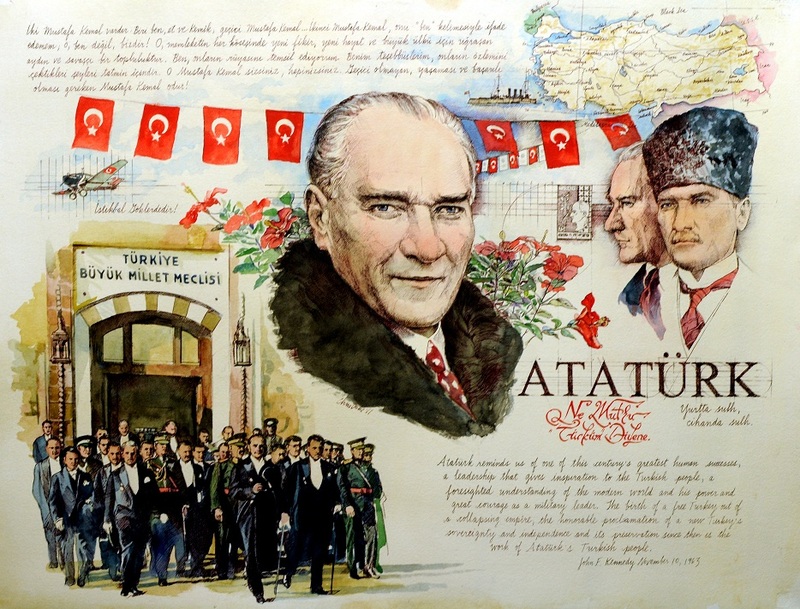 I sold some of my portraits of Ataturk to Turkish corporations. In October 2011, I was very happy to display this piece at the American Turkish Council's Annual Conference on U.S.-Turkish Relations. Please see my News update about this event.